Chemguard has been named one of the winners (sixty-third place) of the 2009 Dallas 100 Entrepreneur Awards, presented by the Caruth Institute for Entrepreneurship at the Southern Methodist University Cox School of Business. 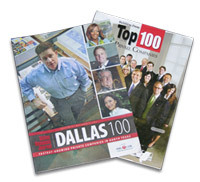 The prestigious Dallas 100 Awards have recognized the fastest growing private companies in the Dallas area since 1990. The annual Dallas 100 Awards are based on a number of criteria, including location, sales history, credit report, and character. Chemguard also ranked sixty-eight on the Fort Worth Business Press 2009 top 100 private companies in Tarrant County.